Turquoise and Pink Miyuki "Flamingos & Letter" adjustable bracelet. 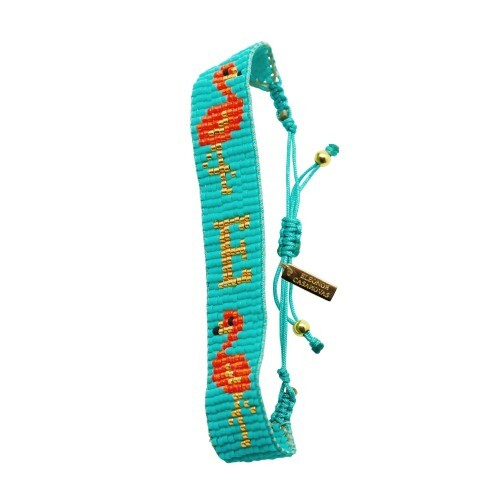 Blue and Coral Miyuki "Flamingos & Letter" adjustable bracelet. 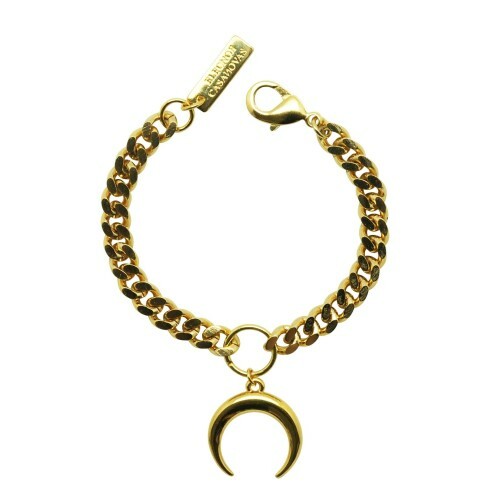 Brass Gold plated ball chain bracelet. 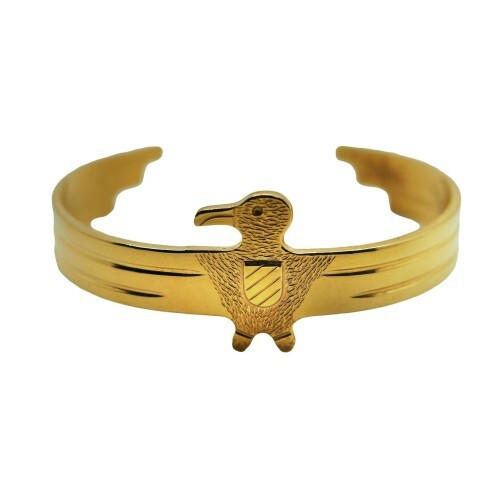 Double horn bracelet with thick Golden chain. 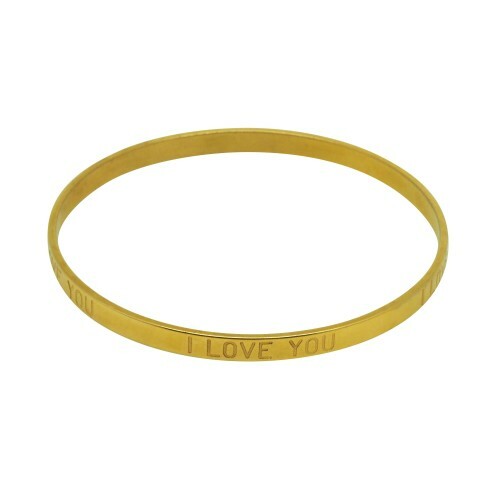 Goldplated "I LOVE YOU" Bangle. 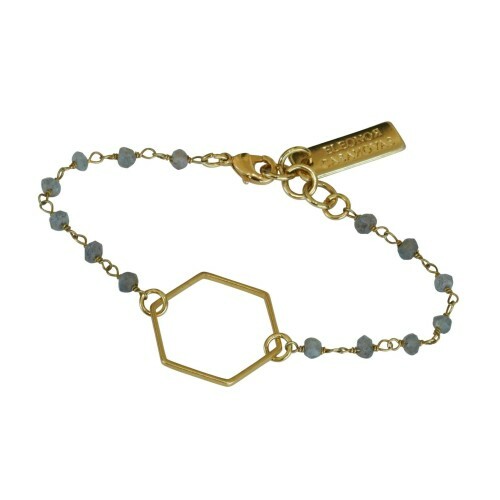 Goldplated Hexagon bracelet with Silver gold-plated and labradorite stone rosary chain. 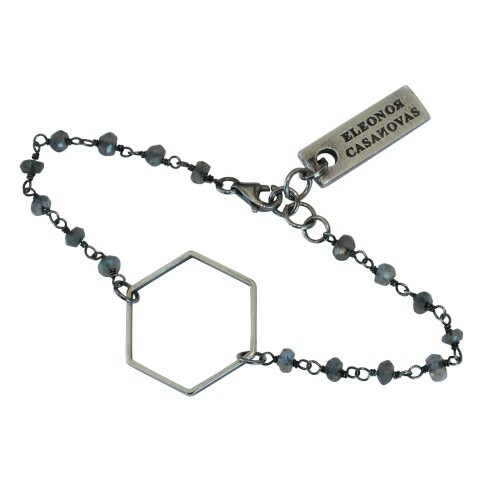 Silverplated Hexagon bracelet with Silver and labradorite stone rosary chain. 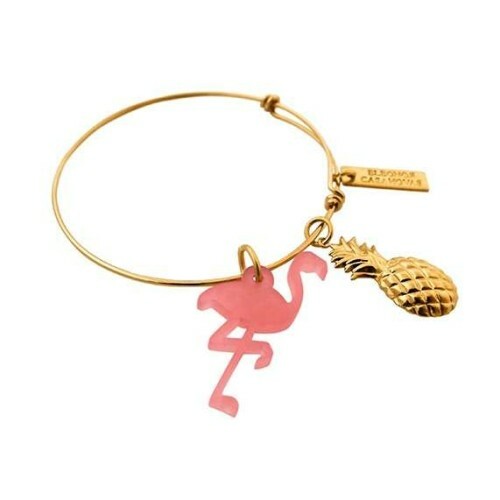 Gold-plated bangle with flamingo and pineapple. Custom made name bracelet with Silver Rhodiumplated chain with natural stones. Tell us your favourite name or word you want us to stamp when you place the order. 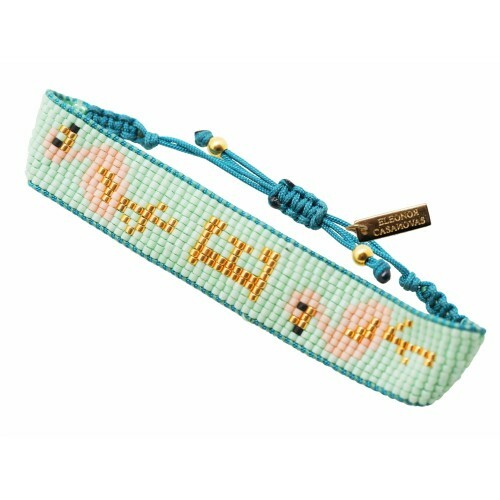 Design your name bracelet with your favourite word. Letters are the same color as the cord. Each bracelet is unique as we hand made it in our studio. Please tell us when you place the order the word you want us to stamp. 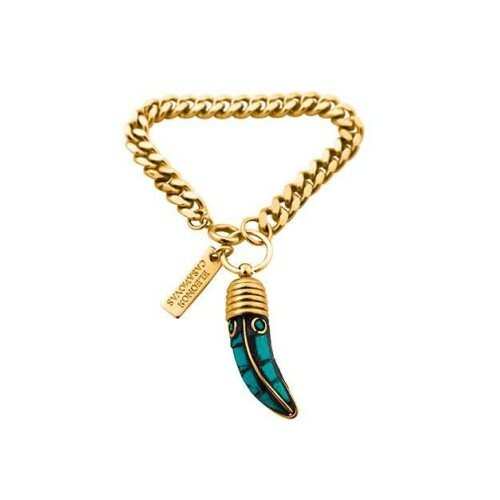 Turquoise small tooth bracelet with Goldplated chain. 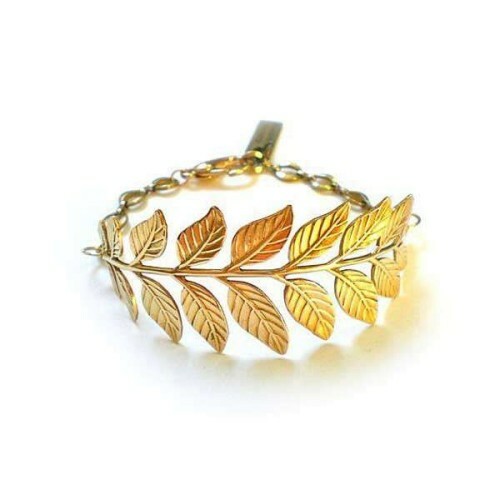 Approx chain lenth: 18,5 cms. Adjustable Boho Chic Bracelets with Goldplated charm, natural gemstones (turquoise, howlite, lapis and jasper) and brass pieces. Available in 4 different colors. 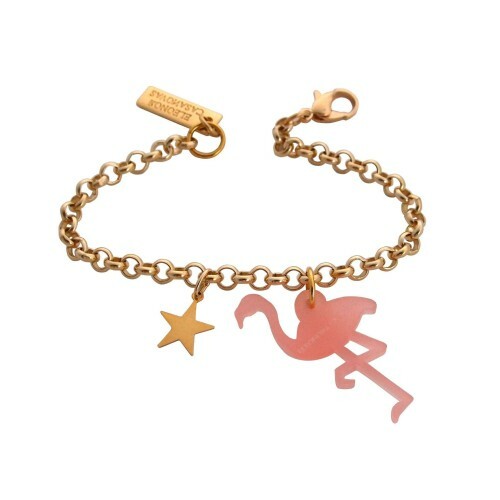 Flamingo Star bracelet with goldplated chain and perspex flamingo. The flamingo is 3,5cms high. You can close the bracelet in any ring of the chain. 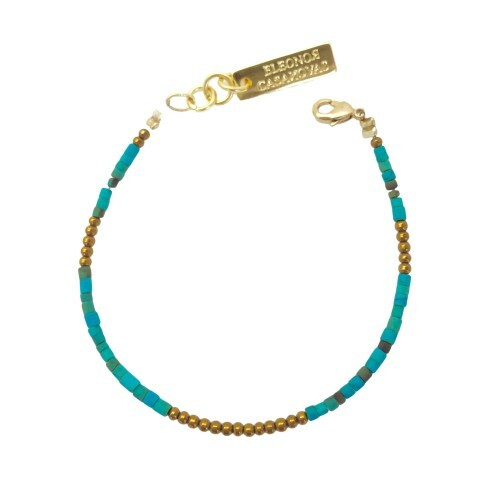 Thin natural turquoise bracelet with Golden hematite stone and Goldplated clasp. Approx size is 17,5cms but if you prefer a different size please let us know when you place the order. 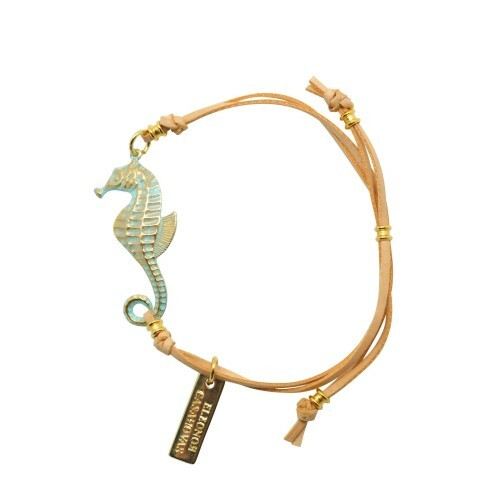 Seahorse with green patina adjustable bracelet Seahorse size: 37mm length. Matching pendant available. 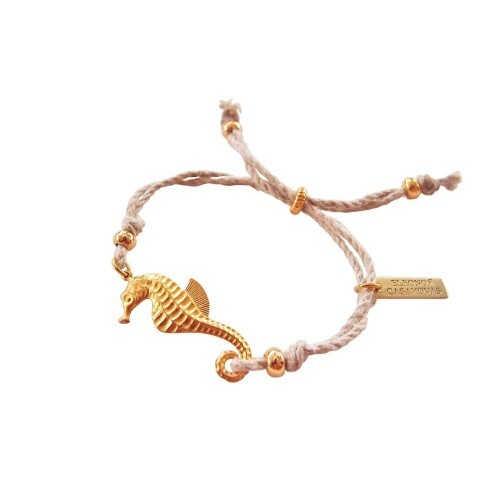 Seahorse with light Pink patina adjustable bracelet Seahorse size: 37mm length. 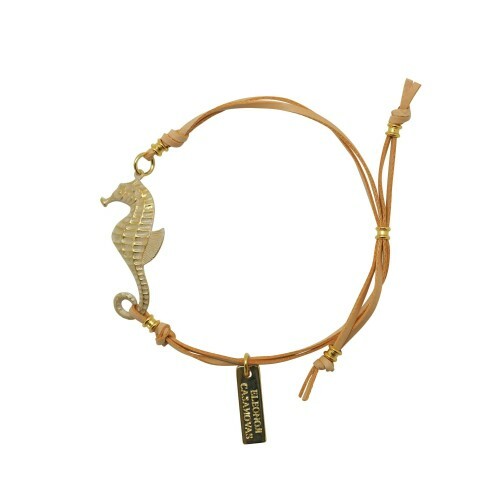 Golden Seahorse adjustable bracelet. Seahorse size: 37mm length. Matching pendant available. GLITTER STAR bracelet with Golden adjustable cord, Golden glitter star and a Golden little star. The star diameter is 39mm. MINI GLITTER STAR bracelet with white adjustable cord, Golden glitter star and a Golden metal little star. Please let us know if you prefer a Golden cord instead of the white cord when you place the order. The star diameter is 29mm. MINI GLITTER LOVE bracelet with Golden adjustable cord, Blue glitter heart and a Golden little star. The heart diameter is 24mm. 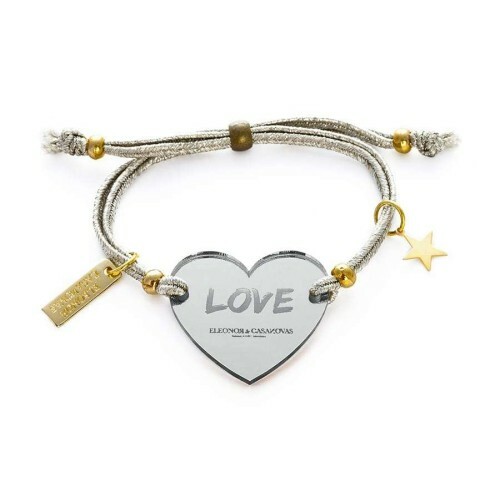 "Glitter Love" bracelet with glitter Heart and thin Golden chain with a little Golden star. Available with the heart in Gold, Silver or Black colour. 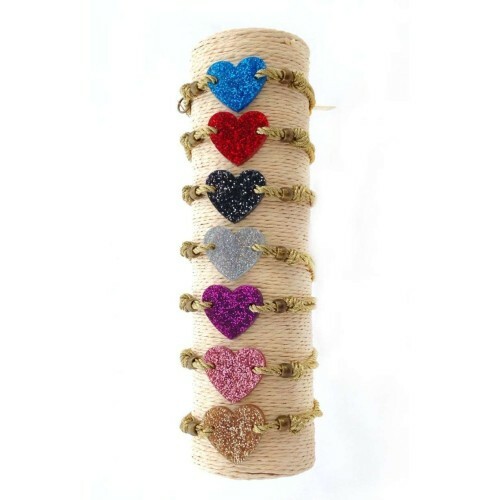 Please let us know your chosen heart colour when you place the order online. The chain is approx 18cm long. 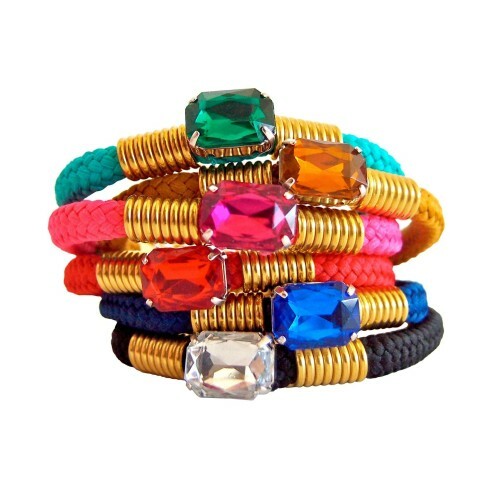 Wrap your waist with this delicate and colourful bracelet. The chain and the clasp are Gold plated. 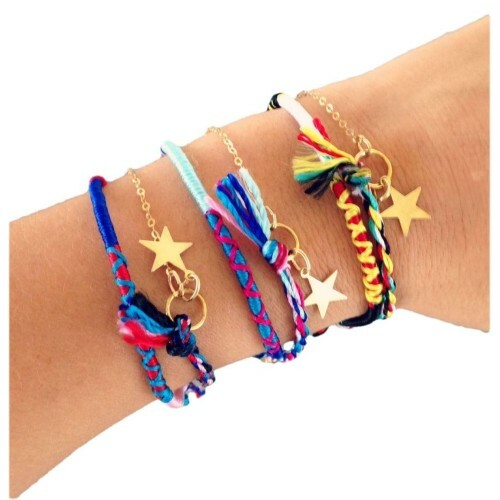 Lucky Love and Lucky Star bracelets now in Orange, Pink, Blue and White. Let us know your desired colour when you place the order. Lucky Star bracelet with Golden mirror Star and Golden antique metallic adjustable cord. The star is 36 mm wide. Wear it to add a touch of Glam to your outfits! 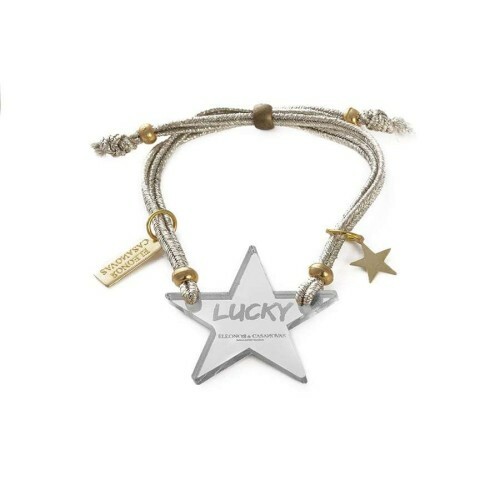 Lucky Star bracelet with Silver mirror Star and Golden antique metallic adjustable cord. The star is 36 mm wide. Wear it to add a touch of Glam to your outfits! 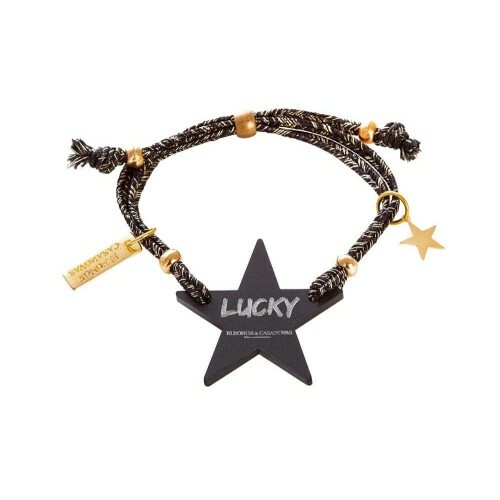 Lucky Star bracelet with Black Star and Black and Gold antique metallic adjustable cord. The star is 38 mm wide. Wear it to add a touch of Glam to your outfits! 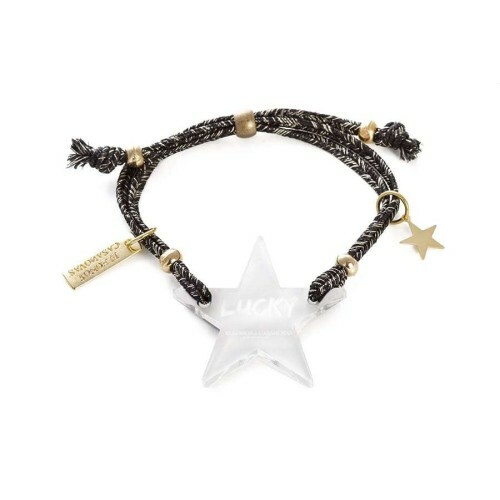 Lucky Star bracelet with White Star and Black and Gold antique metallic adjustable cord. The star is 38 mm wide. Wear it to add a touch of Glam to your outfits! Lucky Love bracelet with Golden mirror heart and Golden antique metallic adjustable cord. 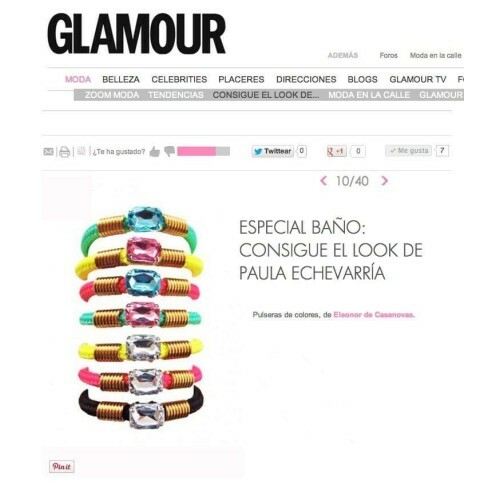 Wear it to add a touch of Glam to your outfits! 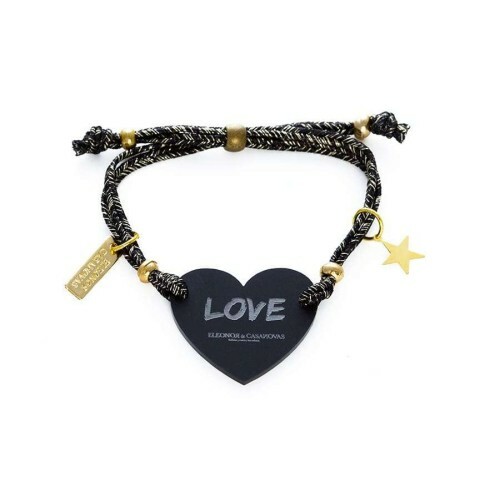 Lucky Love bracelet with Black heart and Black and Gold antique metallic adjustable cord. Wear it to add a touch of Glam to your outfits! Lucky Love bracelet with White heart and Black and Gold antique metallic adjustable cord. Wear it to add a touch of Glam to your outfits! 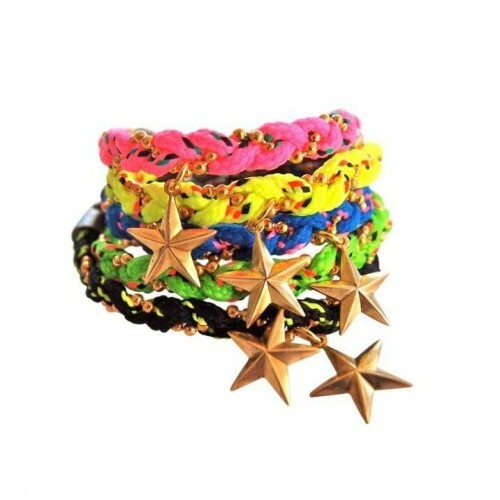 Summer bracelet with cord, Golden metal ballchain and Golden metal Star. Approx total length: 18,5 cm. BLING BLING bracelet with cord and stone. The bracelet total length is approx 18,5cm but if you would like a specific length please let us know in your order. BLING BLING bracelet with cord and stone. The total bracelet length is approx 18,5cm but if you would like a specific length please let us know in your order. 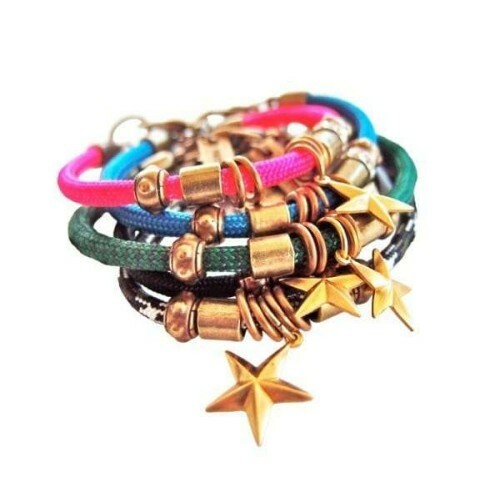 "Army Star" bracelet with cord, strass, Golden metal pieces and Golden Star. Approx length: 18,5cm. Pack of two adjustable Tribal Skull bracelets. To order write the reference number of the two desired colours in remarks when you place the order. 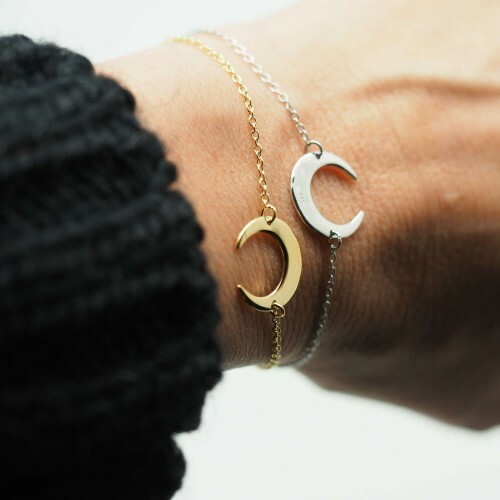 Price per pack of 2 bracelets: 14€. 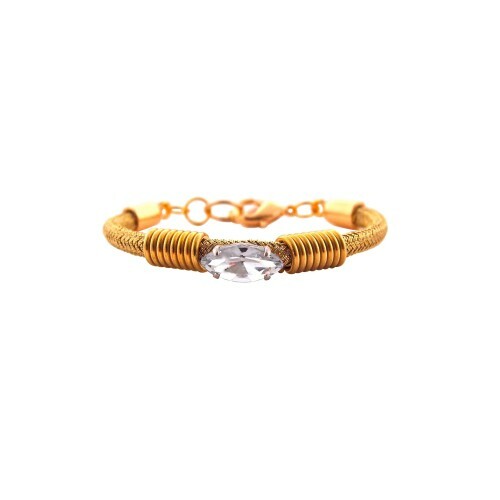 BLING BLING de LUXE bracelet with Golden cord and Crystal colour stone. The bracelet total length is approx 18,5cm but if you would like a specific length please let us know in your order. 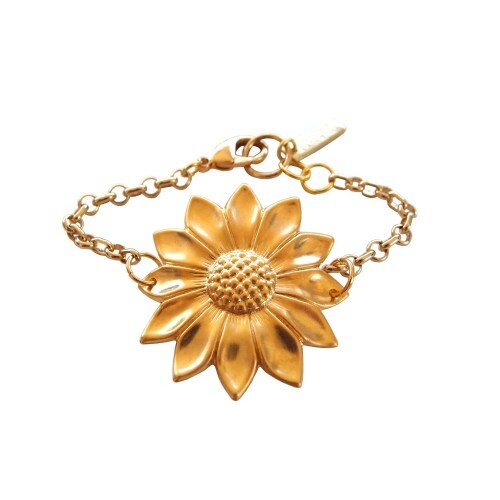 Sunflower bracelet gold plated. Flower size: 45mm. The bracelet is approx 18,5-19 cm long but please let us know if you would like a different length when you place the order. 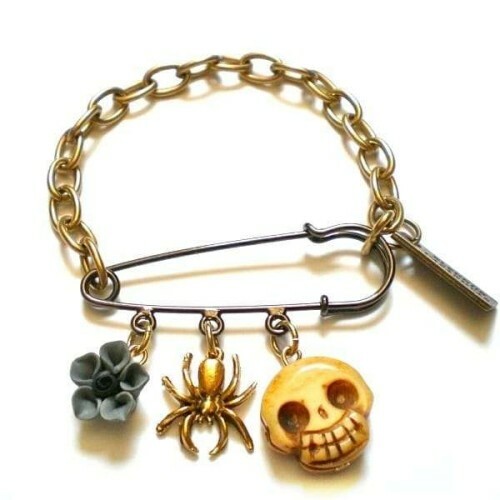 Safety pin bracelet with bone skull, golden metal spider and grey flower. 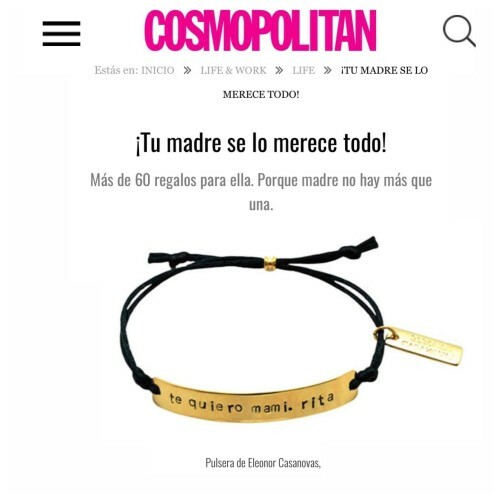 The bracelet is 20cm long and is adjustable. 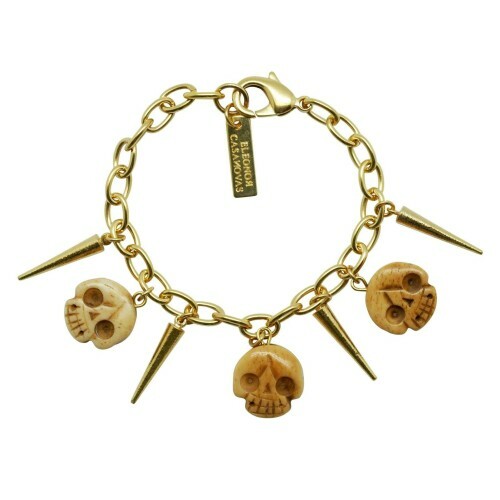 This bracelet is wearable also as a brooch! 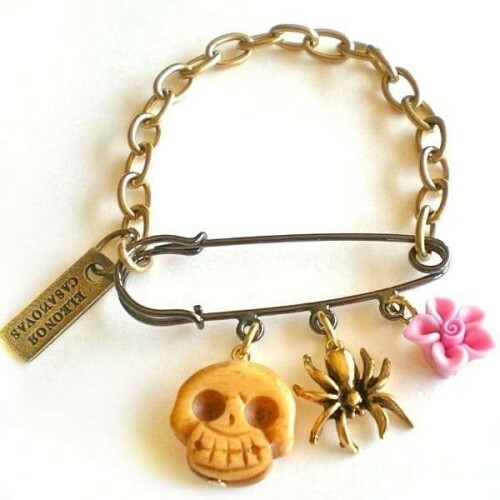 Safety pin bracelet with bone skull, golden metal spider and pink flower. 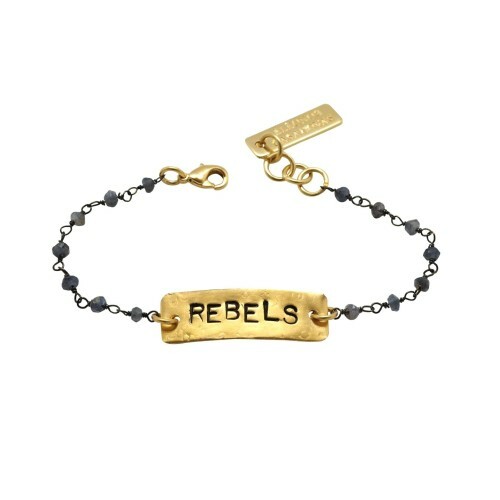 The bracelet is 20cm long and is adjustable. 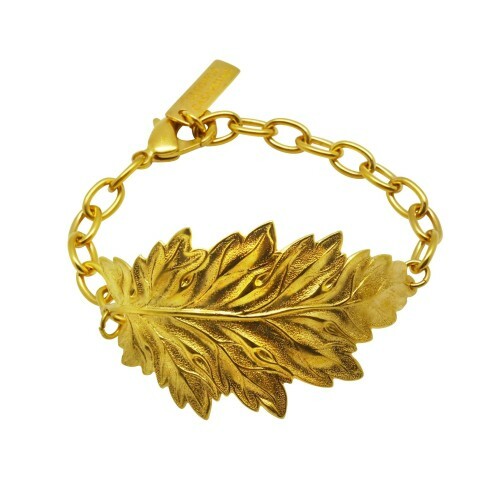 This bracelet is wearable also as a brooch! 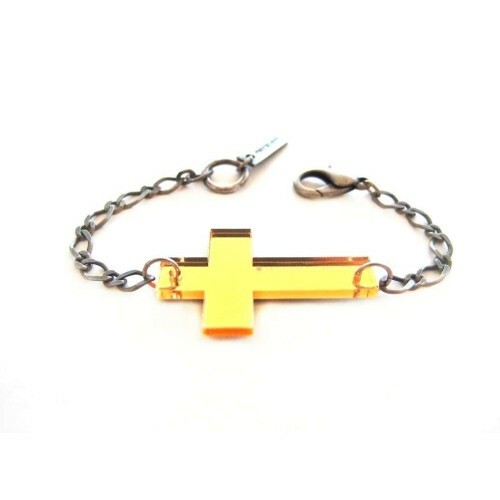 Gold mirrored Cross bracelet with antiqued silver chain. The bracelet is adjustable. Total length of the bracelet: 20 cms. Cross size: 46mm high x 30mm wide. 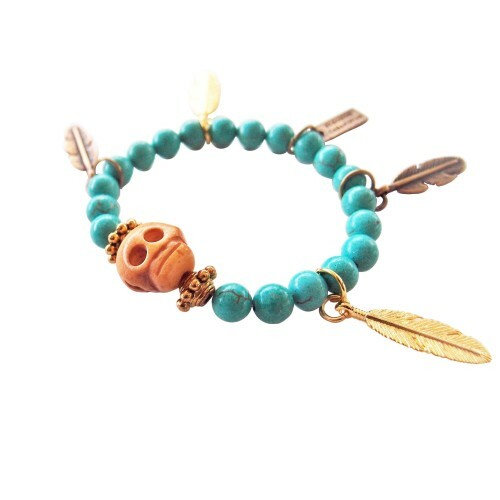 "Seven Seas" adjustable bracelet with bone skull, golden metal feathers and turquoises. "Queen of Stars" Bracelet. 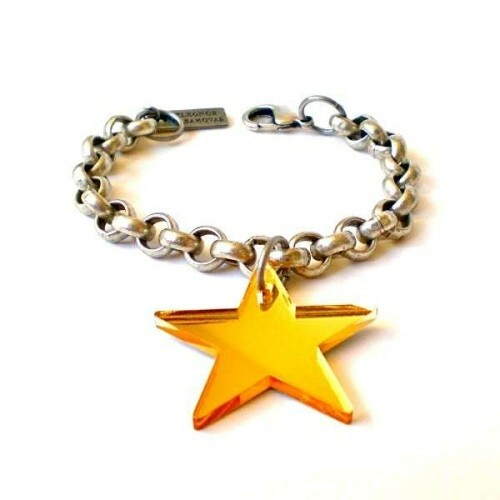 Bracelet with one Star in golden mirror finish and thick antique silver chain. Adjustable. "Queen of Stars" Bracelet. 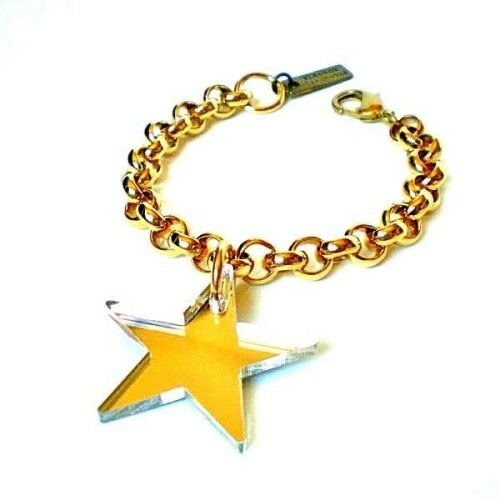 Bracelet with one Star in Silver mirror finish and thick golden chain. Adjustable.